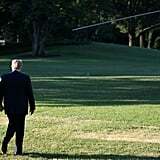 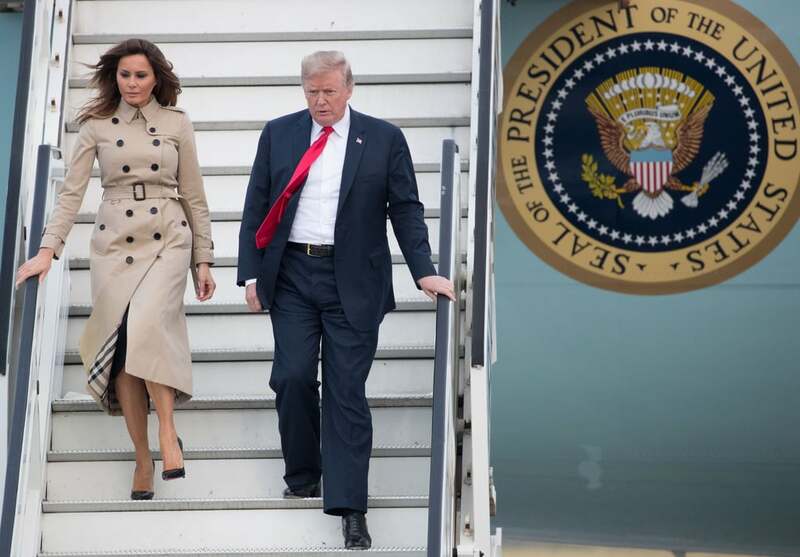 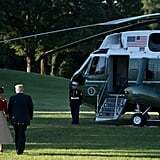 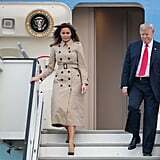 From leaving the White House in what has become her own personal signature — a pair of logo Christian Louboutin heels ($795) — to touching down in Brussels in an iconic Burberry trench coat ($1,890) and plain patent Louboutin pumps, it seems like Melania is playing a game of fashion geography. 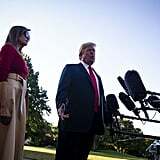 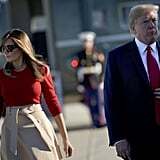 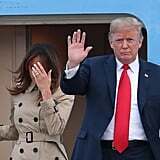 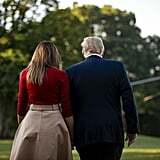 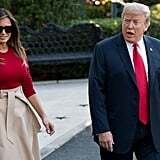 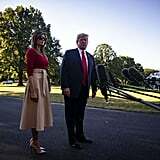 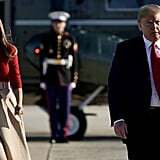 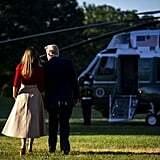 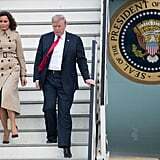 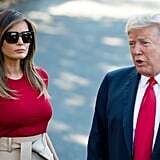 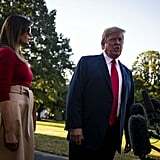 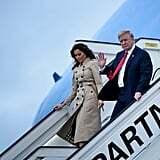 The FLOTUS joined Donald Trump for his trip to the NATO Summit, where he will attend to his duties before visiting with Queen Elizabeth II at Windsor Castle to receive the Guard of Honour and have tea. 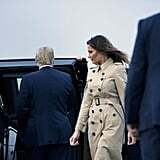 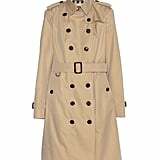 Melania will be in attendance and perhaps wear Burberry yet again, or another British designer. 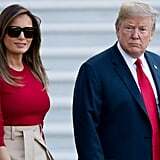 Melania's first travel look, a red sweater tucked into a Martin Grant A-line midi finished with dark sunglasses, felt in line with her apparent taste, but the Burberry jacket is so classic, it would please anybody. 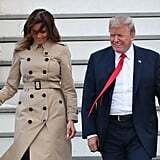 On that note, read on to see how Melania swapped her clothes on her trip, then shop her exact outerwear along with similar silhouettes.